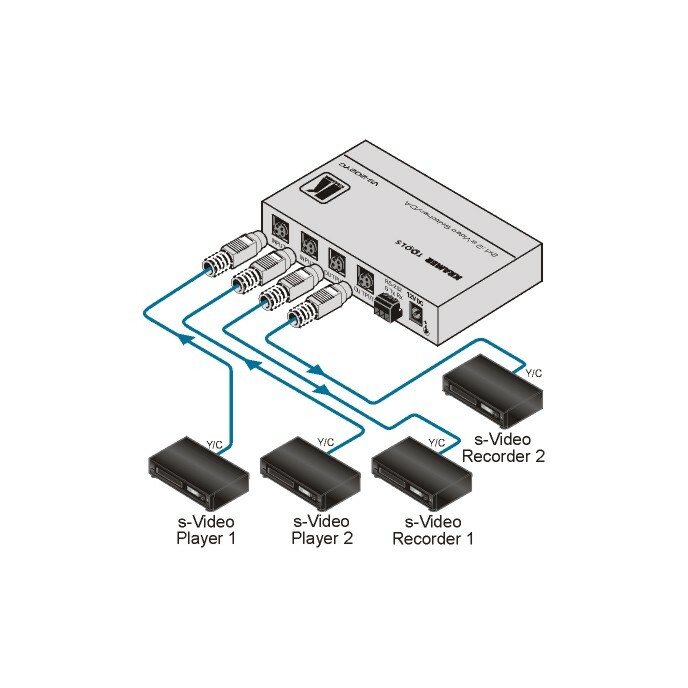 The VS-202YC is a high-performance switcher and distribution amplifier for s-Video signals. It switches one of two inputs to two identical outputs. High Bandwidth (Y) - 520MHz (-3dB). Control - Input selector RS-232 switching (K-Router Windows-based software is included).